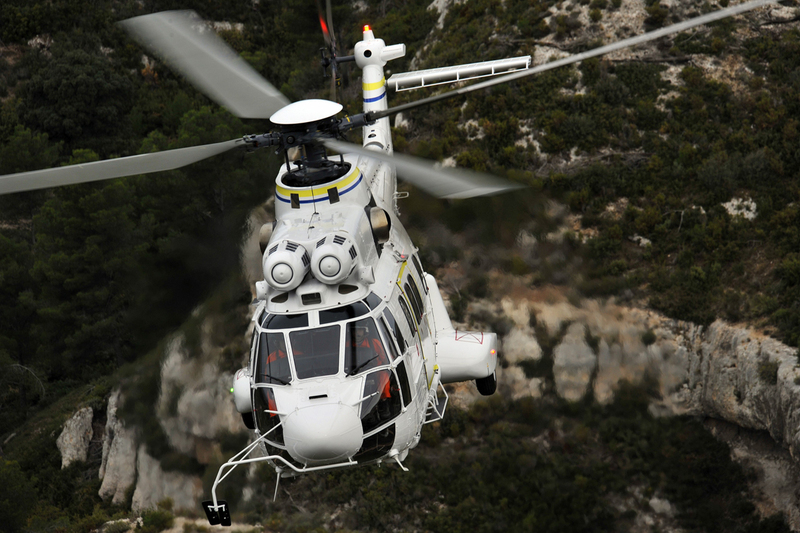 The multi-mission AS332 C1e is the aerial work/utility workhorse version of Airbus Helicopters’ Super Puma rotorcraft family. It comes with a standardized equipment definition for more rapid production times and cost-effective acquisition prices. The twin-engine AS332 C1e offers versatility across a full range of aerial work and utility missions, especially in high and hot environments, as well as missions requiring a small footprint while delivering significant lift capability – such as the vertical replenishment of ships. The helicopter’s standard equipment list ensures multi-mission capability with reduced production lead times for faster customer deliveries. 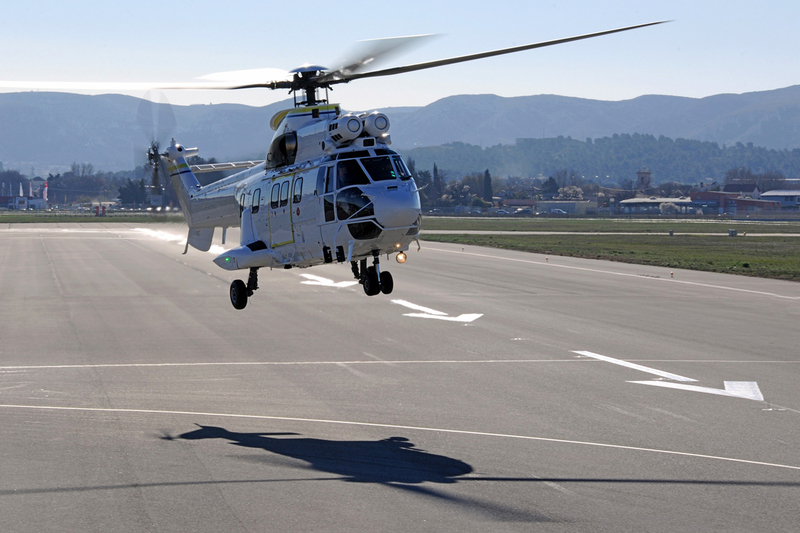 Included in the definition is the 4-axis autopilot from Airbus Helicopters’ EC225 Super Puma helicopter, which provides flight envelope protection, unrivalled precision, and stability in even the harshest operating conditions. If equipment or systems are required beyond the baseline definition, additional customization can be provided by Airbus Helicopters and its wholly-owned Vector Aerospace company, or the network of customer centers and approved partners. The main rotor blades can be folded for parking in tight areas or inside hangars, and the fuselage incorporates a naval mooring system. 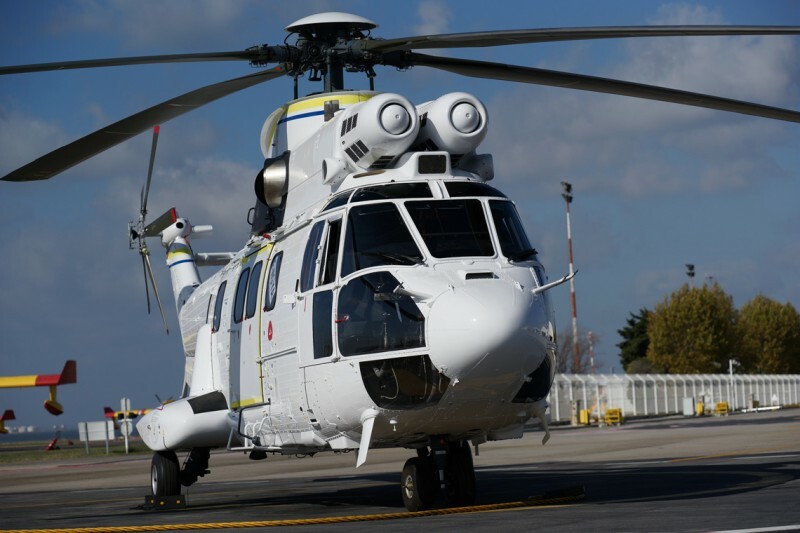 An enlarged rear fuselage compartment has a special single-step door, and the pressure refueling system facilitates the AS332 C1e’s ground handling. Outfitted with a full glass cockpit and modern avionics, the flight deck is compatible with night vision goggles. In daytime operations, pilot visibility benefits from green-tinted upper glass panes. As with all aircraft in Airbus Helicopters’ Super Puma family, the AS332 C1e is recognized for its remarkable payload volume and lift capability. It delivers all-around versatility, and excels in high-and-hot operating conditions. Meeting today’s safety standards, the rotorcraft is easy to fly, simple to operate and straightforward to maintain. These attributes combine to create a helicopter that is cost-effective in diverse mission applications. 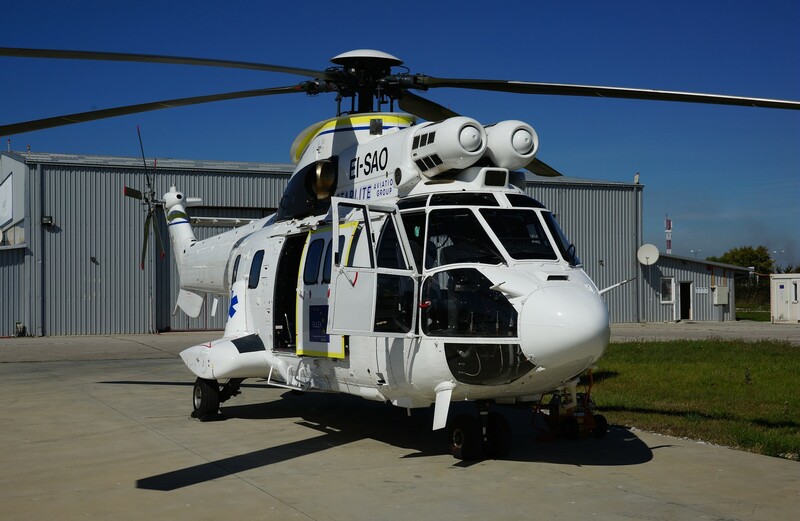 Airbus Helicopters provides plug-and-play solutions for AS332 C1e customization, while its Vector Aerospace operation specializes in implementing supplemental type certificate (STC) upgrades. Examples of plug-and-play equipment available on request by Airbus Helicopters include wire strike protection, an external beam for fast roping, seating for 17 passengers or 20 troops, a side-fuselage searchlight, cargo sling, and armor plating for pilot and co-pilot seats. Among the STC upgrades available include a turret for electro-optical sensors, a door-mounted 12.7-mm machine gun, an additional internal fuel tank, vertical light for hoisting, weather radar, and tailored communications equipment. With Airbus Helicopters’ Parts-By-the-Hour (PBH) program, parts are made available for operations in various environments and covering repairable items for both scheduled and unscheduled maintenance. An Airbus Helicopters exclusivity is a 20-ft. shelter-based container transportable by land, sea and air that brings the maintenance capability to remote operating sites. 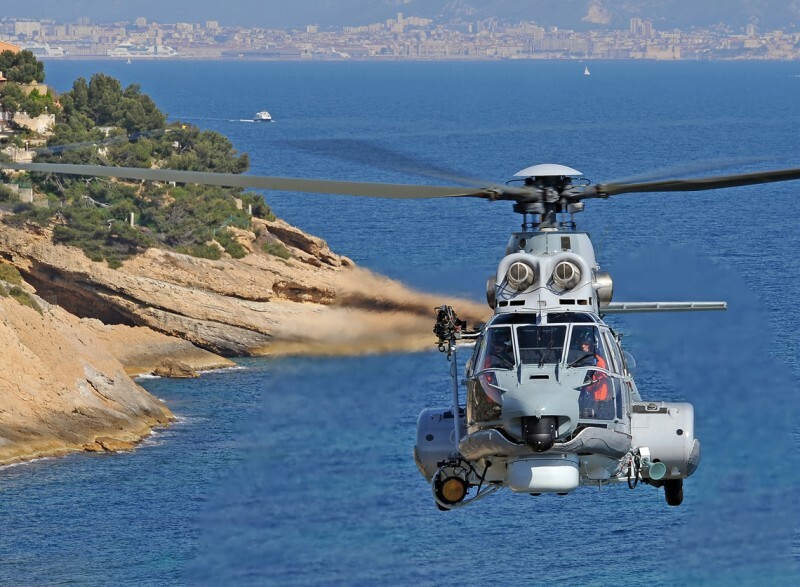 Training solutions from Airbus Helicopters enable AS332 C1e operators to increase the skills of their mechanics, pilots and operations managers. Also offered are mission-oriented courses that respond to operators’ specific mission scenarios. Visit the Support & Services section for additional information. The AS332 C1e’s agility enables access to remote areas even in snow, sand and maritime conditions. Powered by two engines, the helicopter retains excellent performance in high-and-hot environments. Designed-in ruggedness includes a reinforced airframe and high-energy absorption landing gear, along with a crashworthy main frame tail boom, transmission deck and cockpit floor. 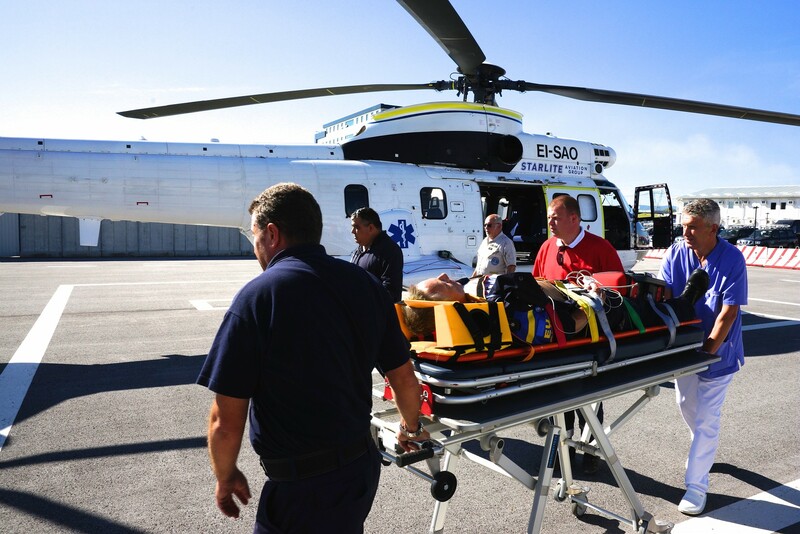 Combining performance and cost-effectiveness, the AS332 C1e is a highly efficient machine for parapublic missions. For law enforcement duties, it can carry a fully-operational special team and its equipment to deployment locations day and night, along with a hoist, fast-roping beam and electro-optical sensors. 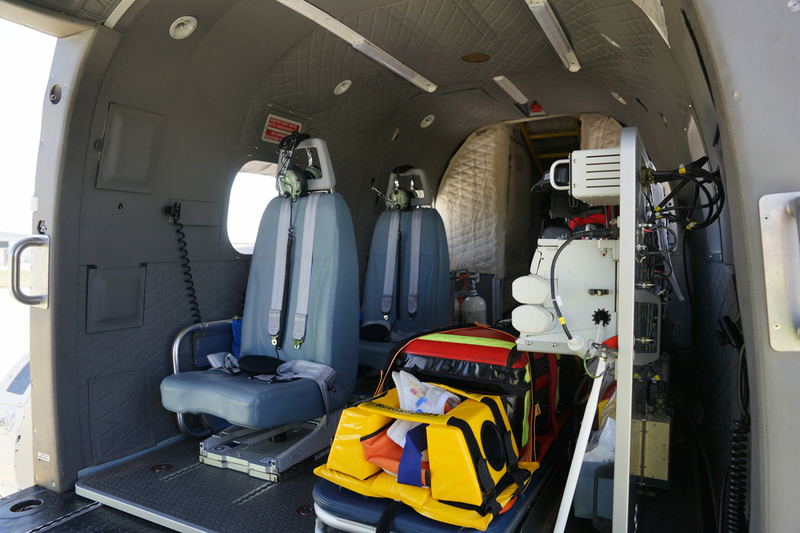 When outfitted with multi-patient medical interiors, the AS332 C1e is a versatile medical evacuation platform, while the helicopter’s overall performance and range enables extended-duration search and rescue missions. The AS332 C1e can accommodate heavy internal loads, with its large sliding doors allowing the transportation of bulky freight and the rear access facilitating the handling of long loads. Adding to the helicopter’s flexibility is the ability to install a Class 1 hydraulic hoist, along with a cargo sling with a maximum load of 4,500 kg. For transport duties, the AS332 C1e accommodates 15 passengers in a comfortable forward-seating layout, or up to 20 troops.